What a pistol! Smart, active, and adorable breed. The Teddy Bear Schnoodle has become a popular hybrid dog breed over the last 15 years. He's a cross between the Poodle and the Schnauzer and can be found in many colors. Ranging from 6 to 76 pounds, the Schnoodle has a place as a lap dog, a family dog, a therapy dog, or a performance dog. The vast majority of them are small dogs. The appeal of this hybrid is that they generally have the Poodle's willingness to please mixed with the sturdiness and activity of the Schnauzer. Playful and lovable, this dog loves to have fun and is always the center of attention. Teddybear Schnoodles are a combination of two of the smartest, most people friendly breeds. The Miniature Schnauzer and the Giant Schnauzer are the sizes that are primarily used for our precious Teddy Bear Schnoodles. We breed Schnauzers and Poodles with blockier heads and stockier builds. This winning combination produces pups with blockier heads and gorgeous teddy bear faces. They have great personalities to go along with their adorable faces. 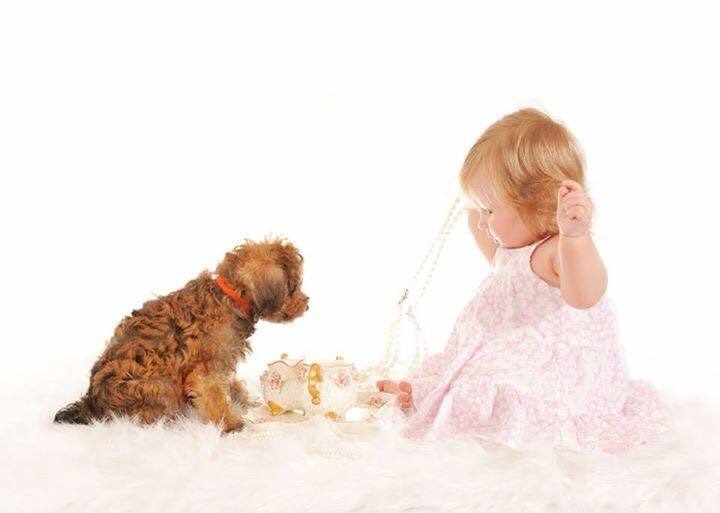 The Teddybear Schnoodle is smart, friendly and very family focused. They are also non-shedding and hypoallergenic as they come from non-shedding parents. They are the perfect choice for those that have allergies to dogs or for those that simply do not want to clean up dog hair. Great Family Pets: We absolutely love our sweet little Teddy Bear Schnoodles. I am certain once you learn about them, you will love them just as much as we do. Schnoodles are intelligent and obedient family companions.They are everybody's friend and devoted to their family. They're great with children, other dogs and pets, and friendly with strangers. They're also very social dogs and are happiest when they are with people.Their intelligence, eagerness to please and love of learning make them very easy to train. 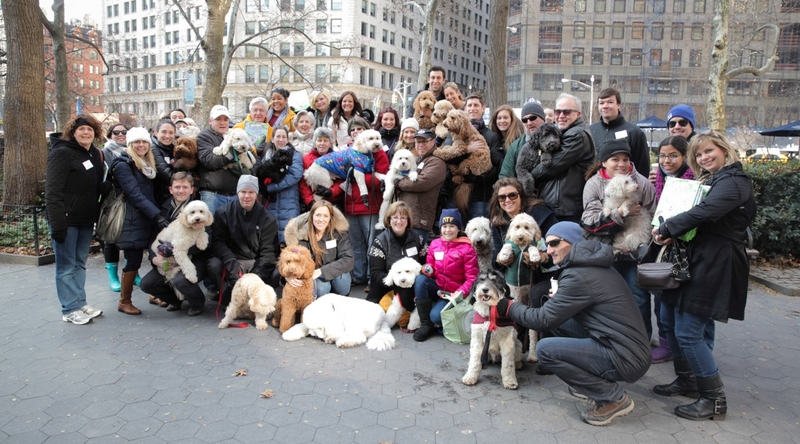 Doodle Romps We now have a huge fan base and Smeraglia Doodle Romps are being held all over the United States. 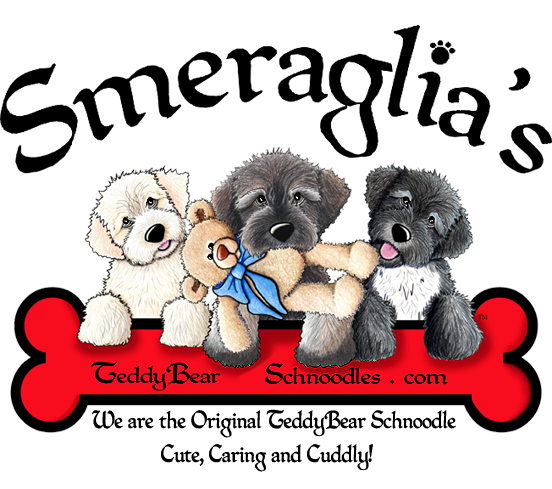 Once you adopt a Smeraglia Teddy Bear Schnoodle, you become a part of our "Doodle Family!" We welcome you to come to one of our events and bring your "Doodle" baby to visit with some of our other Doodle pups and their human families. We Train Service & Therapy Dogs for Special needs Children Our goal at Smeraglia is to produce a specialty line of Teddy Bear Schnoodles that serve as Service, Assistant, and Therapy Dogs for special needs and disabled people. Our primary focus is Service Dogs for children. We produce sound Schnoodles, with beautiful boxy "Teddy Bear" heads and non-shedding coats. We realize that many people are allergic to dogs and our goal is to produce dogs for people with dog allergies. While no dog is 100% hypoallergenic, there are many breeds which the American Kennel Club (AKC) recommends for people with allergies. Our Schnoodles are produced from dogs with non-shedding coats and produce less dander than some other breeds. People with allergies are actually allergic to the dander, not the hair. 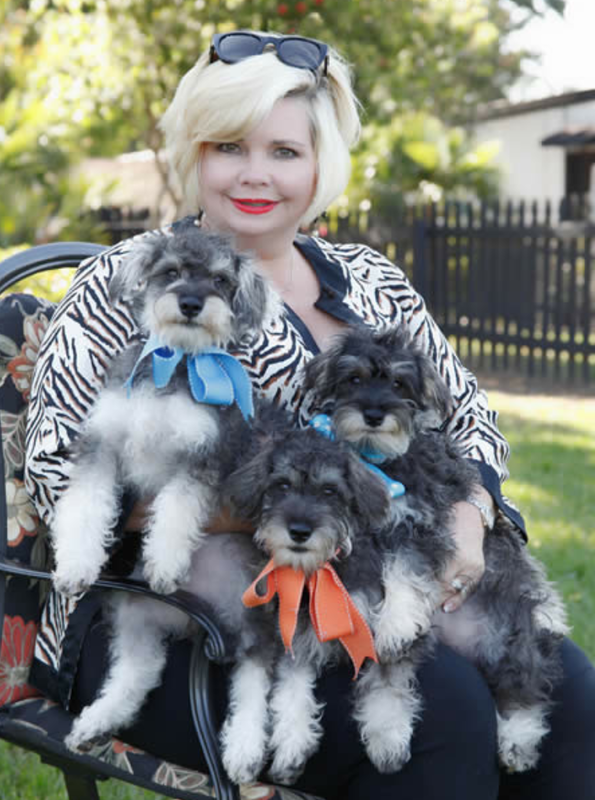 Because of the growing popularity of our Schnoodles, we also schedule confidential pickups for our celebrity clients at a private location on our property.